‘Immeasurable’ describes Peter Godfrey’s wide influence on choral music in New Zealand. The only person to have been chorister, choral scholar and director of music at King’s College, Cambridge, Peter brought those exacting standards to choirs in this country in 1959, developing them to international standard. on to conduct the Dorian, National Youth & Wellington Cathedral choirs. Peter’s influence continues through a new generation of conductors, and the work of the NZ Choral Federation he established. 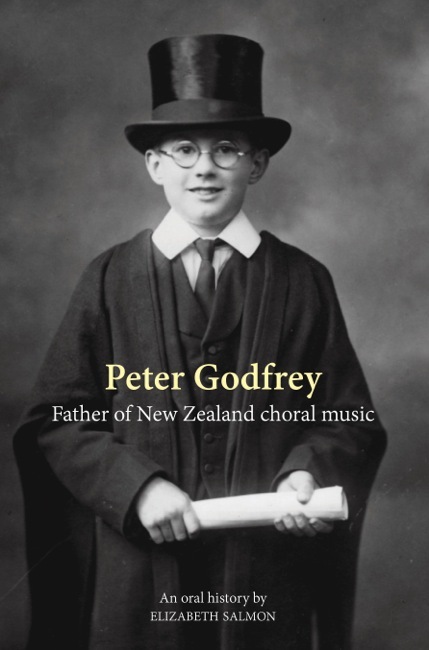 Peter Godfrey: Father of New Zealand choral music draws on conversations with Peter himself, colleagues, friends and pupils throughout his life – people such as Allan Thomas, Reverend John Goodman and Professor Peter King. Peter also recalls encounters and friendships with seminal composers Ralph Vaughan Williams and Benjamin Britten, and tenor Sir Peter Pears. 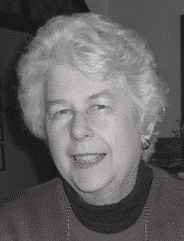 Author Elizabeth Salmon was Peter’s first organ student and sang in both the St Mary’s Cathedral and Dorian choirs. Elizabeth was also assistant music director of the Dorian choir and tutor for the soprano section of the National Youth Choir. She was organist and assistant director of music of the church choir which Peter conducted for ten years at St Michael’s, Waikanae, and is a long-standing friend.